Save SAR 0 (0%) Earn 22 Shukrans What is Shukran? Shukran is the Landmark Group’s award-winning loyalty programme in the Middle East, which allows you to earn Shukrans when you shop any of our brands. 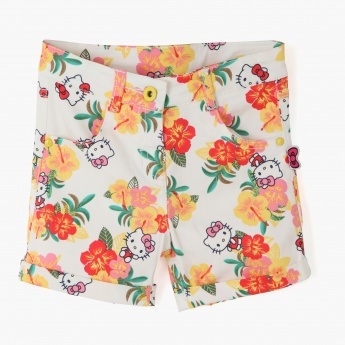 Dress your darling in this appealing pair of Hello Kitty printed shorts. It sports a simple style of pockets on the front and back, a zip fly with a button closure and roll-up hems.